We set off from Bamford after breakfast with the weather looking like it is going to be a long wet drive down through East Anglia. Mike suggests that the best route may be to retrace our steps back through Sheffield and head for the A1 – we check if the Sat-navigator agree and set off. Our aim to visit a community set up in each of the past 5 decades turned out to be thwarted by the simple fact that surviving communal groups from the 1960’s are very thin on the ground (Findhorn being the only one I am familiar with and the Moray Firth would have been a long way off our already lengthy trip route.) So we settled for calling in at the earliest and longest surviving 1960’s commune Crow hall founded in 1965 and only ceasing to be in 2004. It turned out to be a long rainy drive cross country to Downham Market. 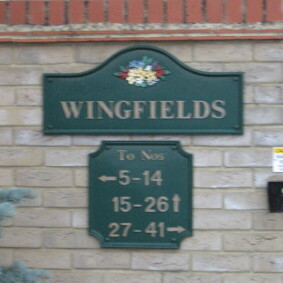 Where after omelette and chips in the station café and with a little help from the handy Satnav we managed to track down the location of the Wingfields Estate. We nearly drove past despite being told in no uncertain terms that we should “turn left and we would be at our destination.” The destination turns out to now be a dreaded gated development of pretty up market homes built in the grounds with the main house looking like it has either been turned into luxury flats or turned into a high class nursing home – All protected by automatic electric gates. We decide to wander round and see if we can find any trace of the former intentional community. Feeling slightly uncomfortable we peer round corners and I take a few photos. Expecting at any time that we might be challenged by a vigilant resident wanting to know what we are doing snooping around. 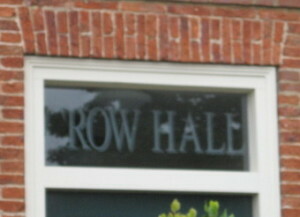 We spot what looks like a newly etched sign over the main entrance to the hall, the only nod to the history of the previous inhabitants. Trying to get a long shot of the hall from across the road I bump into a young man returning a dog to his parents who now live in development. 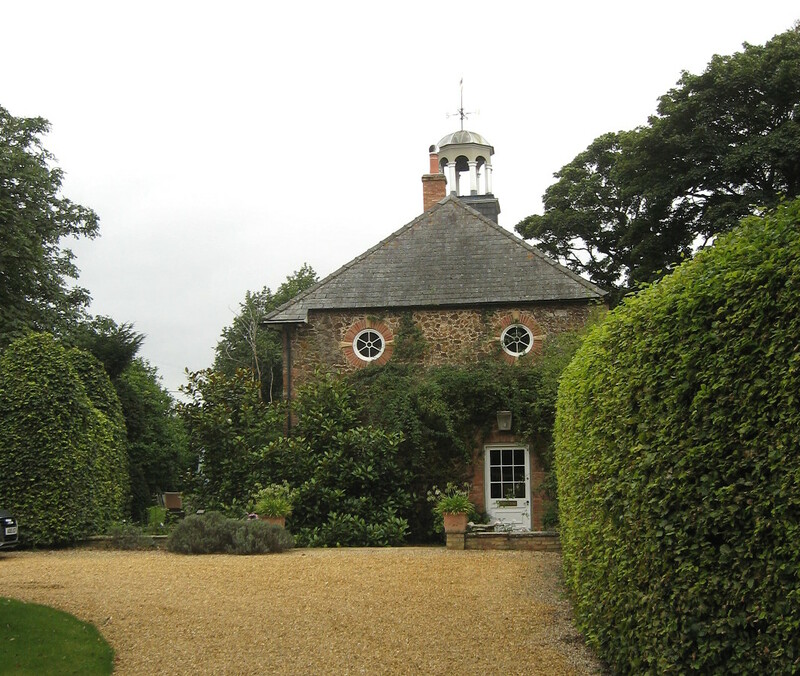 He knew there had been a commune but had only moved to Downham after it closed 10 years ago – he suggested if we wanted to know more we should talk to the “lady with the chickens round the corner.” We checked round the corner no sign of the Lady or chickens. Creeping through the back farm gate to the hall our cover is finally blown by a neighbour who comes out to see what we are doing. Mike chats to her and she says that it is a decade since the developers moved in and referred us again to the mystery lady with the chickens and points us towards one of the farm cottages. The farm cottages still have a slight feel of something vaguely alternative. 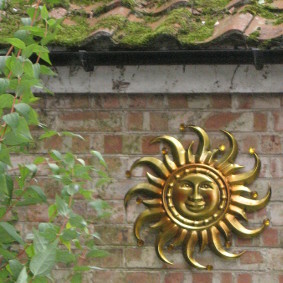 But no chicken lady in sight – just a sun symbol on the garden wall. All trace of the former community seems to be have been erased. Back at home I have checked my 2015 pics with old ones that I have of the Crow Hall community and the only identifiable feature, apart for the main hall building is a magnificent Scots pine tree at the back of the hall. I have since had an email from a former member of the Crow Hall community who has promised to tell me what happened at the end. For more info on the Crow hall community see the previous blog: Searching for the first hippie commune. 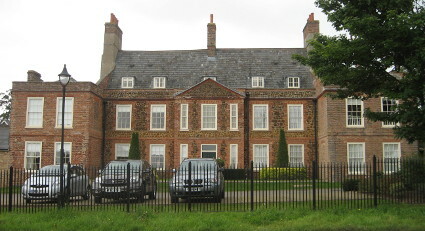 This entry was posted in Road Trip and tagged 1960s, Communes, Crow Hall, Diggers & Dreamers by chris-coates. Bookmark the permalink.